Surry County is bounded by the north by the James River and is near major military, naval and research centers as well as 50 miles southeast of Richmond, the state capital. Conveniently located to offer numerous recreational, historical and cultural opportunities, Surry County's tourist attractions include Chippokes Plantation State Park with its Chippokes Farm and Forestry Museum. 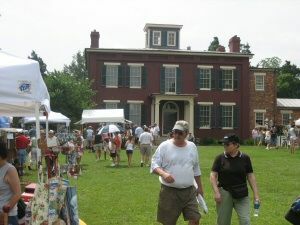 Thousands visit the mansion at Chippokes.